The future of technology is looking bright. There are so many different industries that new technology is affecting in a positive way these days. And some cities are focussing on protecting their citizens with what are referred to as Smart Crosswalks or Pedestrian Crossing Systems. A firm out of London, England called Umbrellium has developed a Smart Crosswalk which is the first one of its kind. The technology is termed Starling Crossing (STigmergic Adaptive Responsive LearnING Crossing). 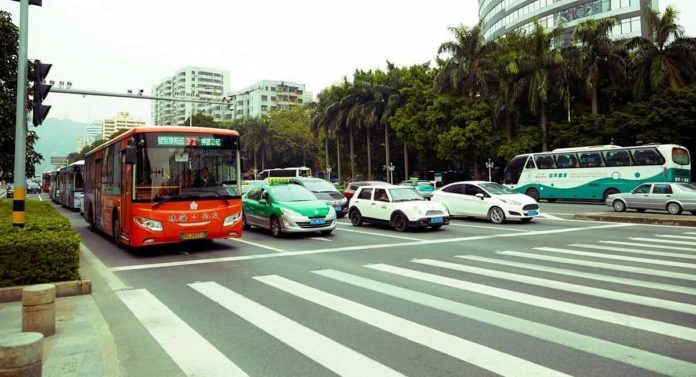 The Smart Crosswalk is just one of many new solutions for the future of roadways. Solutions such as an artificial intelligence program and solar paneled paved roads. The AI-powered program automatically monitors road conditions and well, I don’t think I have to explain to you the function of the solar-paneled paved roads. What Exactly is Starling Crossing? Starling Crossing is essentially a road surface that is responsive which reacts in real time to different pedestrian and traffic conditions by modifying the configuration, patterns, and layout. It also judges the orientation and size of pedestrian crossings to make their safety a priority. The road is located in the south of London. It’s a full-scale prototype that is made up of LED-embedded plastic panels. These panels illuminate crossing markings and warning signs. They also provide other indications which are meant to alert and give safe directions to both pedestrians and drivers. Another piece of the Starling Crossing puzzle are the cameras. The crosswalk is monitored by cameras at all times. They then feed into LEDs which are computer controlled. This inputs data which lights up the crossing area. A neural network framework is used by the cameras to scope out objects which are moving across the surface. The framework can distinguish between cars, bikes, and pedestrians. It figures out their trajectories, velocities, and exact locations. It also can anticipate where the moving objects might be going next. Starling Crossing is intuitive in some other ways also. It takes into account the time of day and which of those times are busiest or not. Then it either expands its scope in the case of high traffic times and reduces in light traffic times. One really exciting aspect of Starling Crossing is that it can take care of people that are distracted, perhaps when they are looking down at their cell phones. The Smart Crosswalk can also take into account a child running out into the street on a whim. When that happens a warning sign will illuminate notifying drivers and or cyclists to be aware of the person in their path by showing their general trajectory. The motto for Umbrellium and Starling Crossing is that it puts people first and enables them to cross the street safely in their own time so they don’t have to only cross in one fixed way.